Hunters might be able to use their four-legged friend to track some large game animals. Sponsored by Rep. Brad Tabke (DFL-Shakopee), HF680 would allow hunters tracking dead or wounded bear and deer to use leashed dogs. It would also allow for the use of hand-held artificial lights while tracking with dogs. The leash must not exceed 30 feet in length. The House passed the bill 100-24 Thursday. It now goes to the Senate where Sen. Eric Pratt (R-Prior Lake) is the sponsor. “This hunting bill will affect the recovery of wounded deer and bear,” Tabke said, noting the bill came about in response to concerns raised by a color-blind constituent. Rep. Kaohly Her (DFL-St. Paul) has a brother who is color-blind. “Someone has to go with him, because he cannot track an animal,” Her said. The disability leaves him unable to see the blood trail used for tracking. 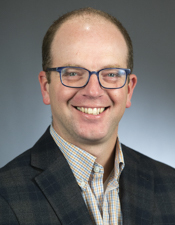 Rep. Jamie Becker-Finn (DFL-Roseville) added that the ethics of leaving a wounded animal to die slowly or of failing to retrieve a carcass are abhorrent to most hunters. Rep. Jerry Hertaus (R-Greenfield) unsuccessfully offered an amendment to ensure hunters using dogs do not enter private property without permission. He argued that allowing dogs to cross private land endangered the efforts of other hunters by contaminating the scene with dog scent. “It’s a bad day for standing up for property rights,” Hertaus said. Current law allows hunters to track animals on wooded land that is not posted against trespassing.